MTN Ghana has been given a Platinum Award by the Ghana Revenue Authority (GRA) for its commitment to the payment of taxes in Ghana. The platinum award by GRA is the highest award under the large taxpayer category. The award symbolizes taxpayers' compliance level with all tax laws in Ghana and the highest contributor to tax revenue in the large tax payer category. MTN Ghana was the only recipient of the Platinum Award. MTN Ghana has consistently contributed an average of 3 percent of the total tax in Ghana over the last five years. The GRA Award is organized to recognize and compliment taxpayers, as well as business owners who fulfilled their tax obligation under the year in review. MTN Ghana has over the years received the Best Taxpayer Award from the Ghana Revenue Authority. In 2018 MTN Ghana received the Commissioner General's Special Award for 2017. MTN Ghana has consistently been among the largest taxpayers in Ghana over the last 10 years. 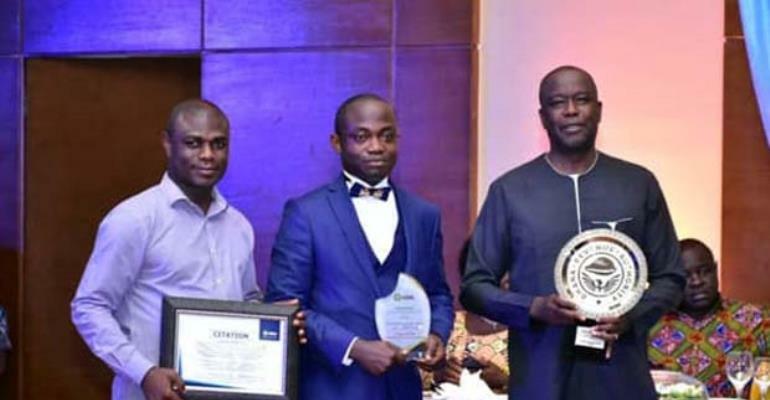 In 2018 MTN Ghana was also adjudged the number one company of the year 2017 at the 17th Ghana Club 100 awards organized by Ghana Investment Promotion Centre (GIPC).